Description:This photograph was taken looking east from the corner of Bridgwood Street and Sutherland Road. On the right hand side is Aynsley's Sydney Works. This is part of what is known as Aynsley's Northern Range China Works. 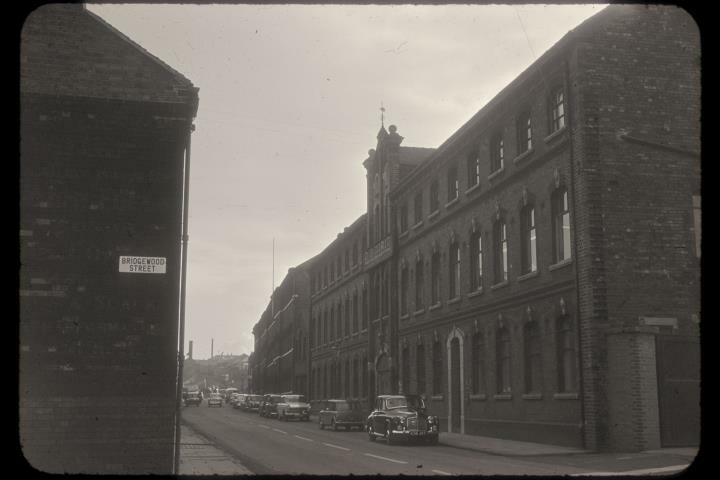 The range includes the Sydney Works and the Prince of Wales Works which is the next large building down Sutherland Road. The Northern Range buildings are grade II listed. The Sydney Works were built in 1879 by William Lowe and had a number of owners before Aynsley's in the 1970s. 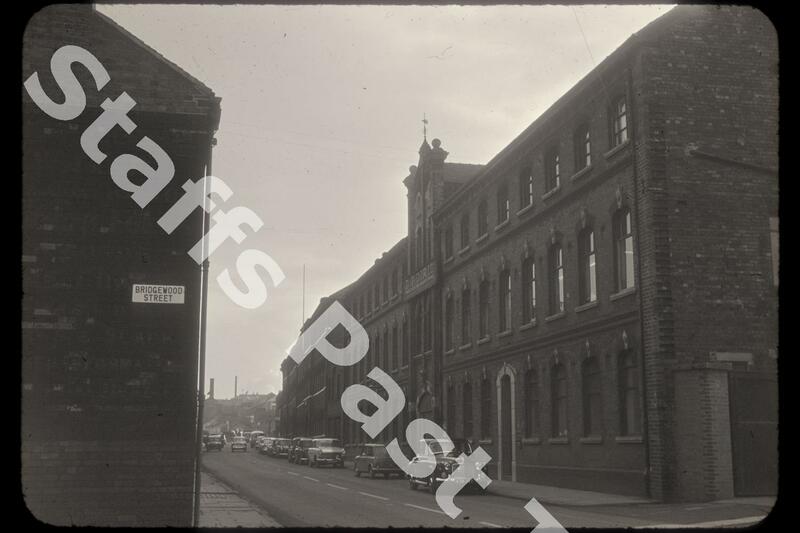 At the time of the photograph it was a clothing factory. The Prince of Wales Works date from 1863 and only became part of the Aynsley company in the 1920s.